Target, Taco Bell, Hy-Vee supermarkets in the Midwest, Speedway convenience stores and Jack in the Box are the latest merchants to support Apple Pay, the mobile contactless payment system that lets customers securely pay in stores using their iPhone and Apple Watch. With the addition of these national retailers, 74 of the top 100 merchants in the US and 65% of all retail locations across the country will support Apple Pay. 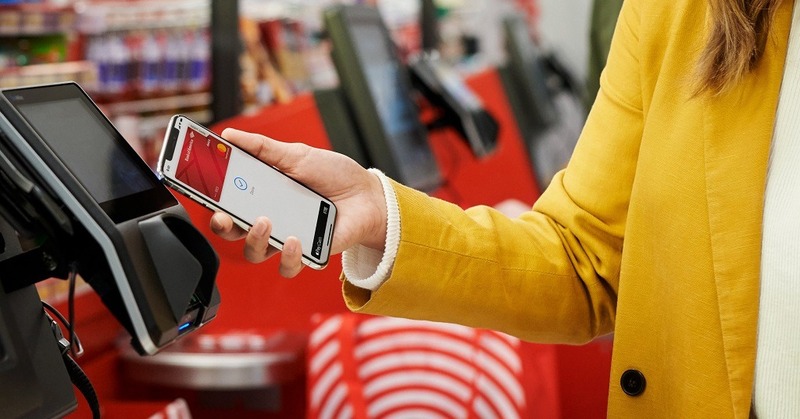 Apple Pay is rolling out now in Target stores and will be available in all 1,850 locations across the US in the coming weeks. Customers can already use Apple Pay at more than 245 Hy-Vee stores in the Midwest and inside the store at all of Speedway’s approximately 3,000 locations across the Midwest, East Coast and Southeast. Apple Pay is also rolling out to more than 7,000 Taco Bell and 2,200 Jack in the Box locations in the next few months. These top merchants join other national retailers that already support Apple Pay. In 2018, Costco completed the rollout of Apple Pay to over 500 US warehouses and CVS Pharmacy introduced Apple Pay at all of its nearly 8,400 stand-alone locations. 7-Eleven launched Apple Pay at 95% of its US stores last year.